Not just any spritz, COPPER FIRMING MIST is a true treatment product that noticeably improves skin elasticity, hydration and firmness. Upon application, the skin feels immediately hydrated, refreshed and tightened. You can use this rejuvenating hydrating treatment as often as you like; as a finishing spray to help set makeup for all-day wear or whenever you need an invigorating pick-me-up day or night. Restoring the skin's protective barrier and avoiding dehydration are easily addressed with a single dose of this refreshing spray - a favorite of avid travelers. 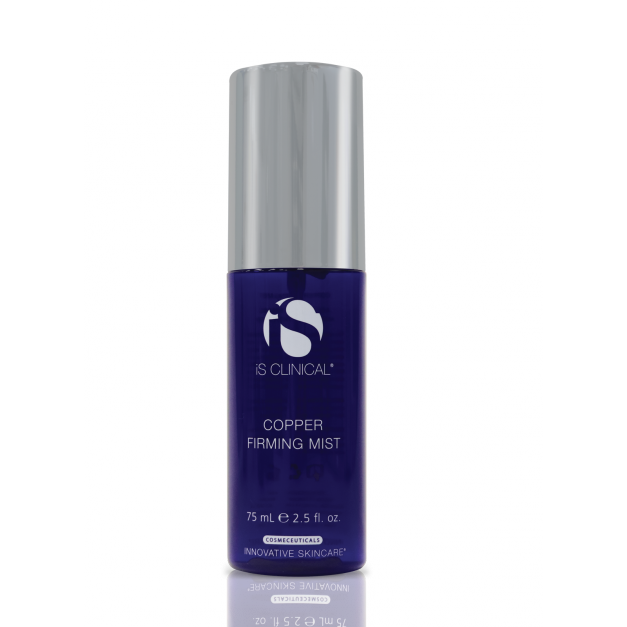 COPPER FIRMING MIST is also excellent for soothing and hydrating sunburned skin.